Keeps food as fresh as day it was opened. Size: 3 1/2" x 3 1/2" x 1 5/8". 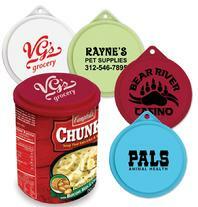 Imprint Areas: Two semicircles: 2 3/4" W x 1" H.
Colors: Green, Medium Blue, Blue. Imprint Colors: Red, Orange, Teal, Hunter, Blue, Maroon, Yellow, Green, Lt. Blue, Violet, Black, White, Silver, Gold. Save water, energy and money. 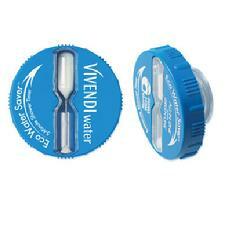 Perfect for hotels, water districts, cities, colleges. For tight seals, this clip is a real bully. 2" blade. Powerful plastic spring. Tough enough for every size bag. Size: 2" W x 2 1/4" L.
Set up, addtl colors, Magnetic Backing extra. 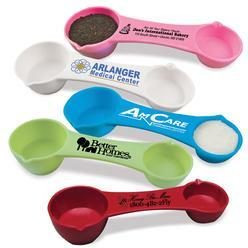 Size: Handle: 8"L Scoop: 2 1/8" W.
Imprint Size: 3/4" H x 3 1/8" W.
Measures 1/4, 1/2, 1 tsp, 1 tbsp. 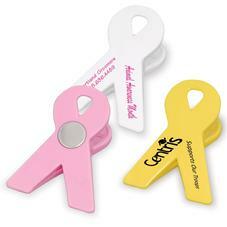 Size: 7/8" W x 4 1/2" L x 1 3/4" H.
Imprint Size: 1/2H x 1 3/8W. Set up and addtl colors extra. Easy to hold and measure. 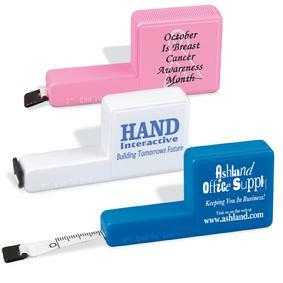 Size: 1 1/2" W x 3" L x 1/2" H.
Imprint Size: 1 1/8" H x 1 1/8" W.
Set up charge and addtl colors extra. Use it once and you'll keep it forever! Colors: White, Yellow, Slate Blue, French Vanilla, Granite, Assorted. Safely scrape pots and pans without scratching. Value-Packed advertising with hundreds of uses. Packaging in printed poly bags w/instructions. 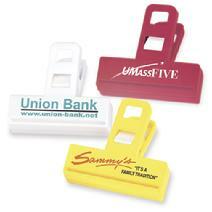 Imprint Size: 1 3/8" H x 1 3/4" W.
Set up charge, additional imprint colors and rush service extra. Hundreds of uses. Lasts for years. Sealed and protected in individual gift bags with exclusive Clear-View window. 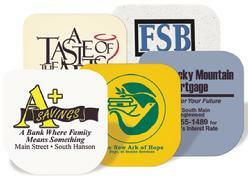 Screen Charges, Additional imprint colors and rush service available. Contact us for additional info / pricing. White, Translucent Blue, Red and Green. 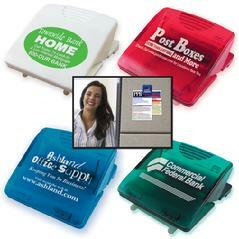 Attaches to cloth, cubicle walls, memos. 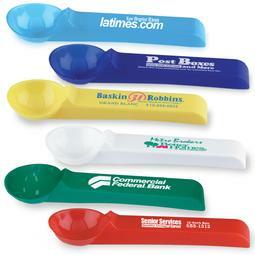 Size: 2" W x 2" L.
Imprint Size: 1" H x 1 5/8" W.
Set up, adtl imprint colors, rush extra. 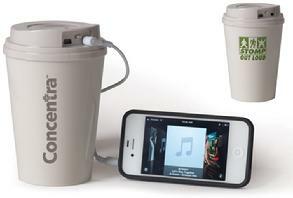 Share your tunes with this rechargeable speaker cup! Store your favorite electronic device, cables and cords in this unique and fun coffee cup. 2 Cables. USB and Connection Cord. Size: 5 1/2" x 3 5/8" Diameter. Contact us for friendly, quick service.